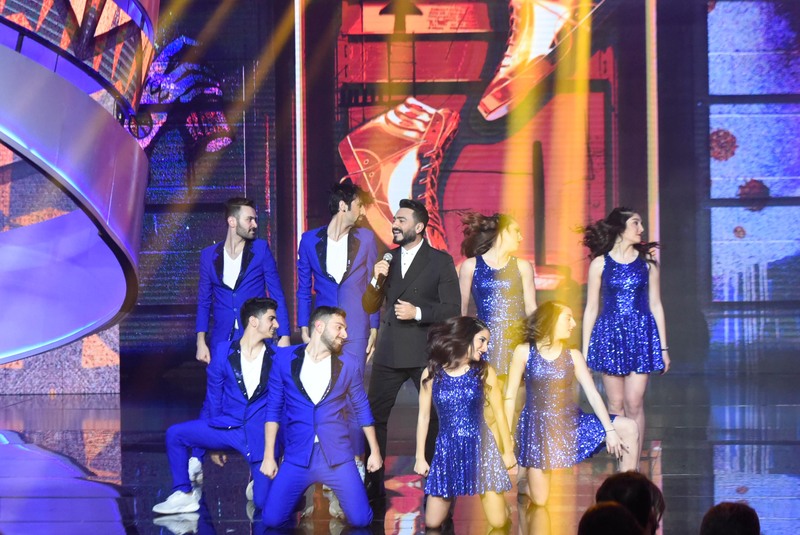 A great artistic celebration of beauty and happiness, Murex d’Or celebrated its 19th edition in a row on Saturday, April 6, 2019, at the Ambassadors Hall in Casino du Liban, broadcasted live on MTV. 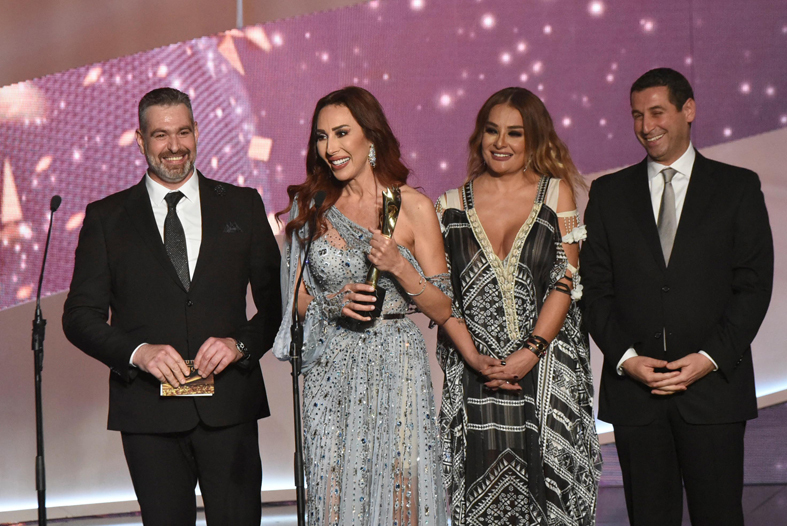 Created in 2000 by the two brothers Dr. Fady & Zahi el Hélou, the Murex d’Or ceremony celebrates Lebanese, Arab and foreign artists in different categories awarding them prizes of excellence. Under the patronage of ministries of Tourism and Information, in presence of several political personalities as ministers Avedis Guidanian and Jamal al-Jarrah, artistic figures, Arab and international stars gathered around a gala dinner to appreciate the songs performed by stars present at the ceremony. Marcelle Nadim, Editor in chief of Prestige and member of the committee and musical Jury of Murex d’Or 2019. © Murex d’Or. 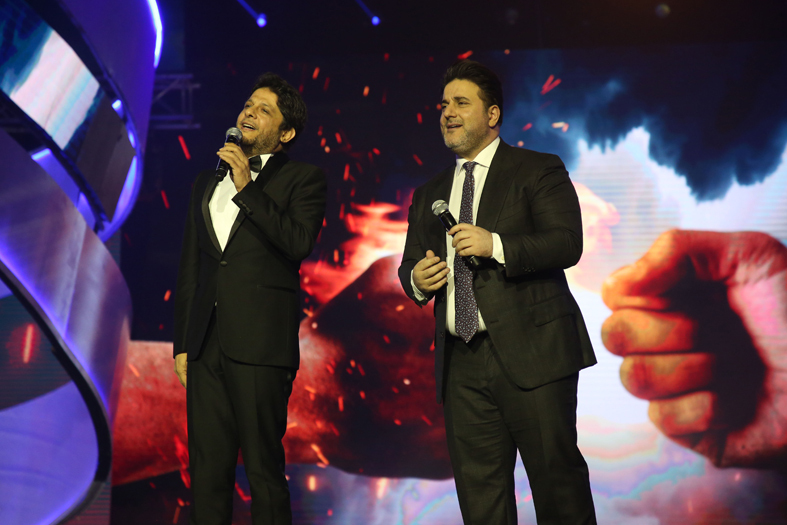 Mouin Chreif and Melhem Zein interpreting their song “Helm el Ard”, winner of Murex d’Or for the best patriotic song. © Murex d’Or. Carole Samaha, winner of Murex d’Or in the category Star of the lebanese song for the year 2018, performing in front of the public. © Murex d’Or. 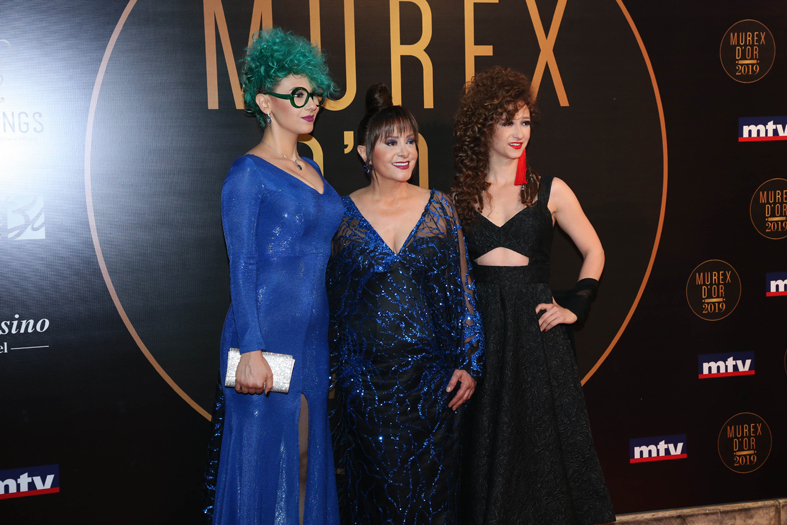 Randa Kehdy on the Murex d’Or red carpet with her daughters. © Murex d’Or. Turkish actress Demet Ozdemir holding her Murex Trophy, for her distinctive roles in Turkish drama. © Murex d’Or. 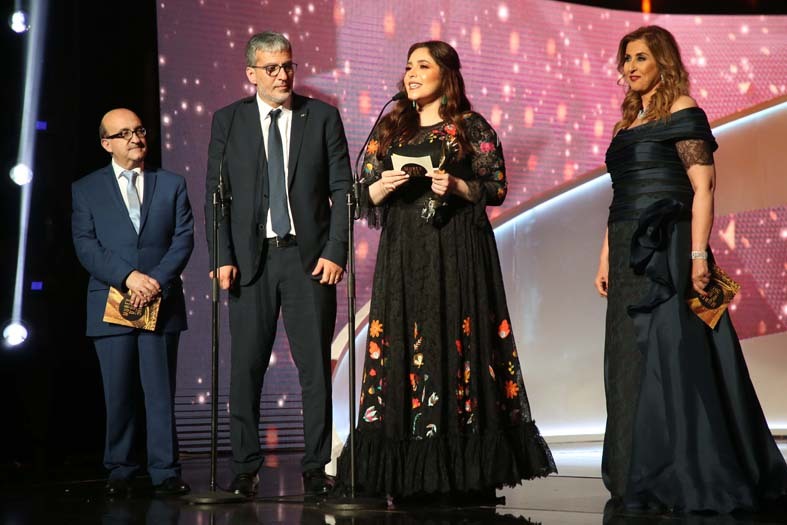 Marcelle Nadim and Joseph Khalifé giving the prize to Abir Nehmé. © Murex d’Or. Tamer Hosny, star of the Arab song for the year 2018 interpreting his song. © Murex d’Or. 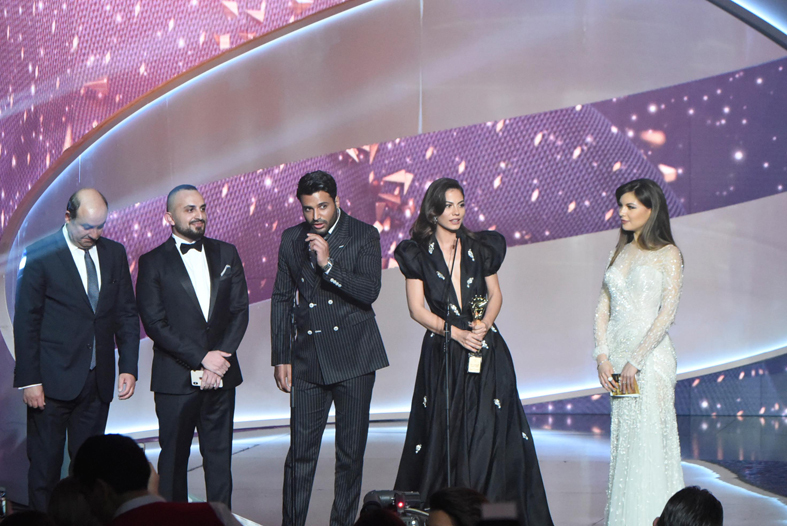 Joseph Attieh, winner of a Murex d’Or in the category popular star of the year 2018. Trophy handed to him by Tania Kassis and Majed Bou Hadir. © Murex d’Or. Ward el Khal was awarded a Murex d’Or for her role in “Thawrat Al Fallahin”. © Murex d’Or. 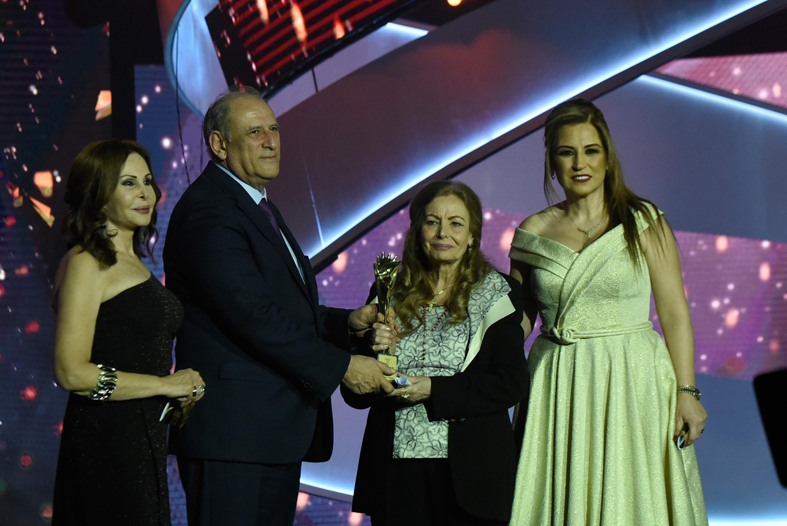 Eminent actress Wafaa Tarabay, was awarded a prize honoring her entire career. © Murex d’Or.